Home > Baby > Amazon: Fisher-Price Animal Activity Jumperoo, Blue Only $53 + Free Shipping! 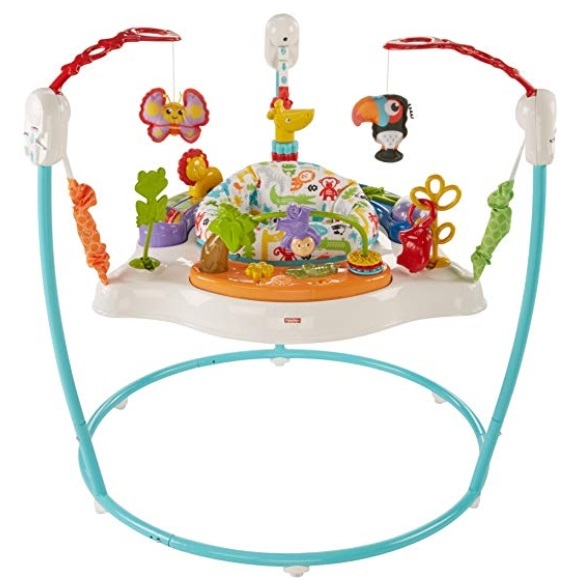 Amazon: Fisher-Price Animal Activity Jumperoo, Blue Only $53 + Free Shipping! November 1, 2018 Comments Off on Amazon: Fisher-Price Animal Activity Jumperoo, Blue Only $53 + Free Shipping! Amazon has the Fisher-Price Animal Activity Jumperoo, Blue for only $53 + Free shipping! Amazon: Ely’s & Co. 4-Piece Baby Crib Set – Crib Sheet, Quilted Blanket, Crib Skirt, Baby Pillow Case Only $45.49 + Free Shipping! Target Black Friday Ad Released + Select Deals Live Today!! !